Your financial team is the heart of your business. Even today, many teams still rely on manual processes for their most important tasks. This inefficiency can lead to errors, and in extreme cases cash flow problems. Imagine leaving an invoice on someone’s desk for approval and having it accidentally get lost in a pile of papers. What happens if the signee is out for the day? A study performed by the Aberdeen Group discovered that inefficient systems can cause an invoice to take up to 14.3 days to process and pay. Inefficient systems lead to input errors, unnecessary late fees and even cash flow problems. Digitizing processes in your finance department can free up your team’s time to focus on revenue driving projects. 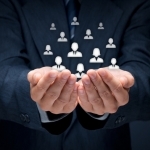 Here are the top five processes to automate for maximum benefits. Managing A/P – If you’re still writing and logging checks manually you’re subject to errors, late fees and missed payments. Automating your A/P helps you to stay current with payables and access real-time financial data whenever you need it from wherever you are. Day-to-Day A/R – Manual systems make processing payments a difficult, multiple-step process. Delays can cause cash flow issues. Automating A/R logs payments when they’re input and automatically creates and sends invoices. Document Management – A digital document management system combines hardcopy and digital documents into a single manageable system. Digitization provides instant access to records, reduced need for storage, lower costs, and streamlines workflows. Forms Processing – Paper forms are error prone and difficult to edit. Digital financial statements, invoices and reports streamline the process. Forms can be made editable reducing time to fix errors. You can even automate the approval process turning a day long process into one that takes minutes. 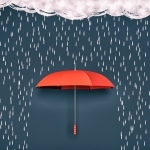 Tax Filing and Compliance – Tax time and regulatory compliance can be stressful. Digital records reduces stress by allowing you to find documents you need with a few mouse clicks. No more searching through papers to prepare forms. 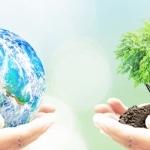 Digital processes can save time, money and reduce stress. If you’d like to know more, give us a call and let us show you the benefits of digitizing your financial processes. Are you looking to streamline your workflow processes and reduce your reliance on paper? 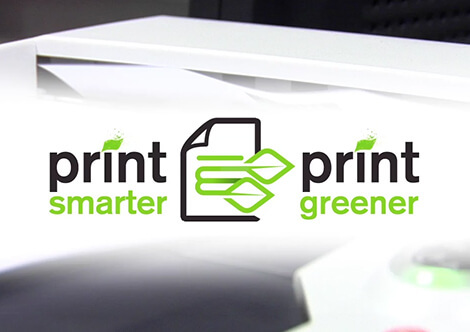 Check out our Print Smarter, Print Greener video for tips and best practices you can start using today!